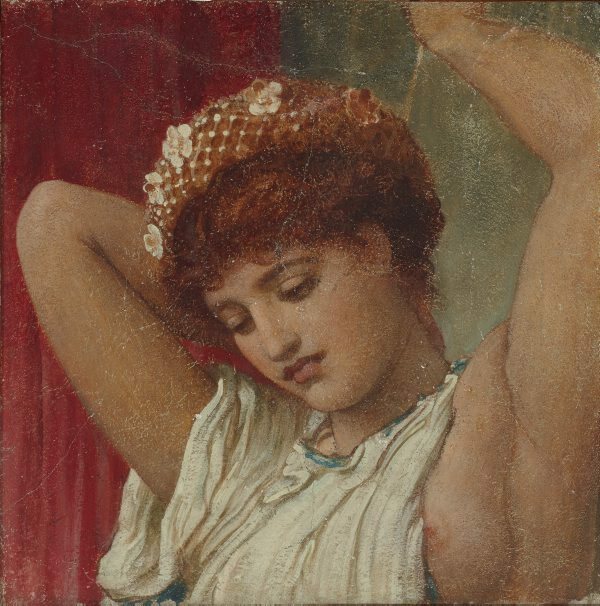 Frederic, Lord Leighton, London/England, Purchased by the AGNSW from the artist 1883. Commissioned by the AGNSW. Art Gallery of New South Wales catalogue of British paintings , Sydney, 1987, p 110, illus p 110. Victorian Olympians , Sydney, 1975, p 19, no 19, illus p 59. Victorian watercolours from the Art Gallery of New South Wales , Sydney, 2017, p 142, col illus p 145, fig 9. British painting 1800–1990 in Australian and New Zealand public collections , Sydney, 1997, p 122, no 1325. Richard J. Ormond, Victoria and Albert Museum: Leighton Frescos , 1975. Author Unknown, Art Gallery of New South Wales correspondance , 1883.